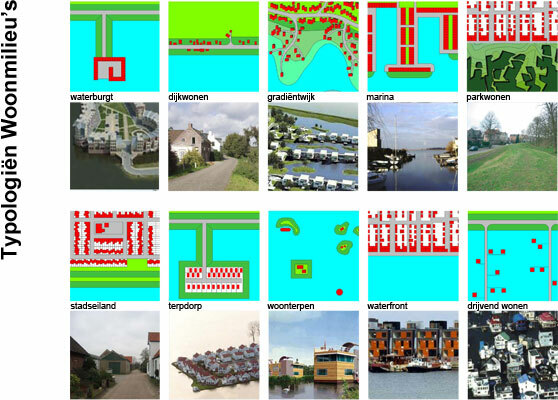 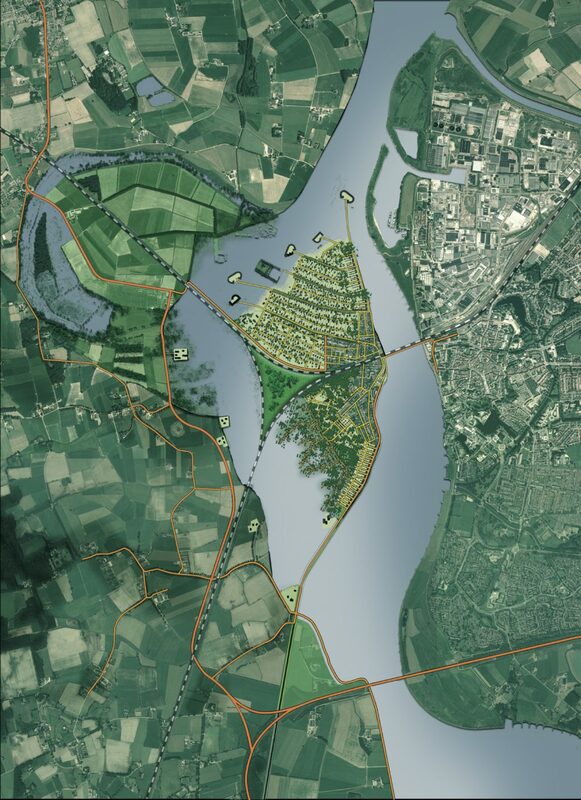 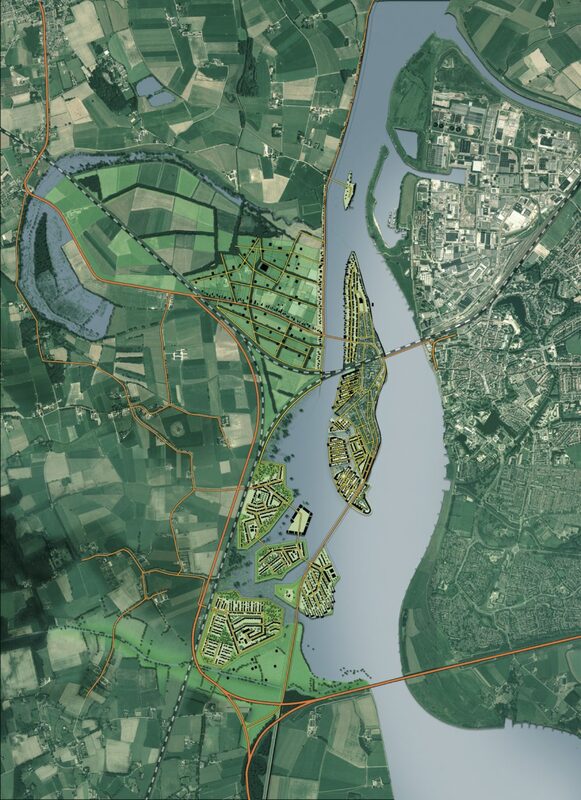 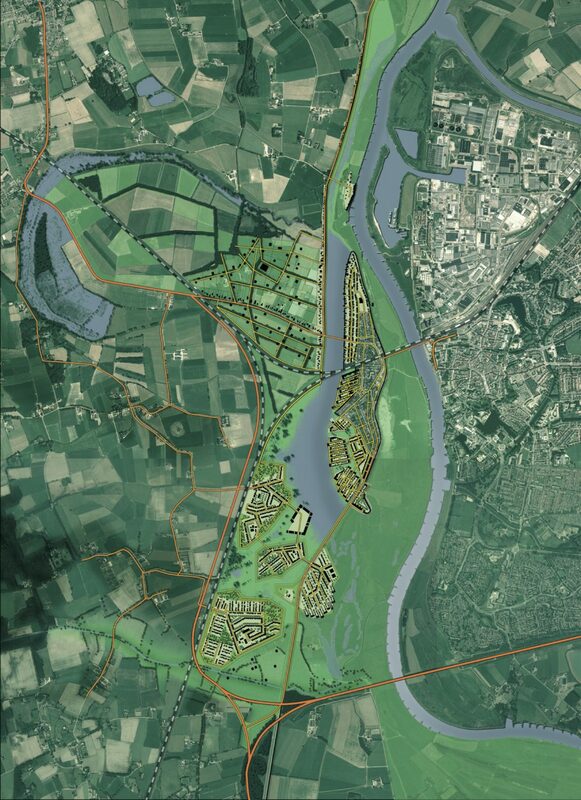 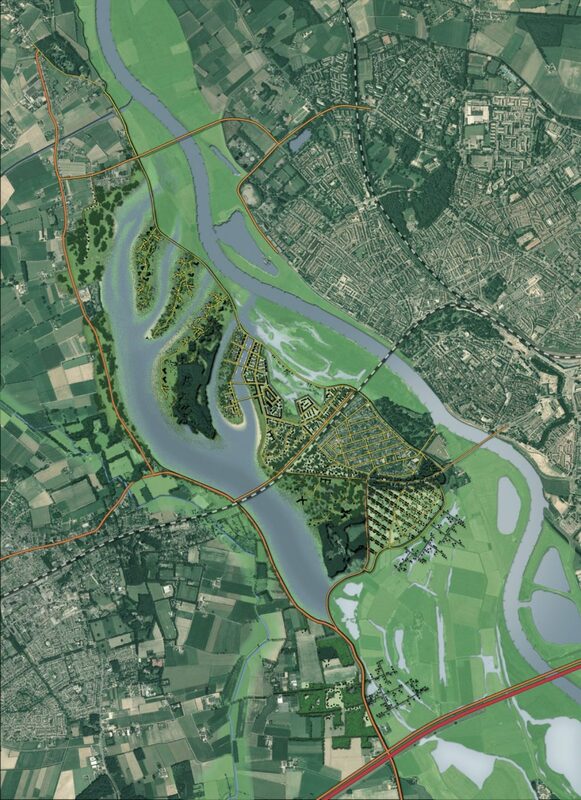 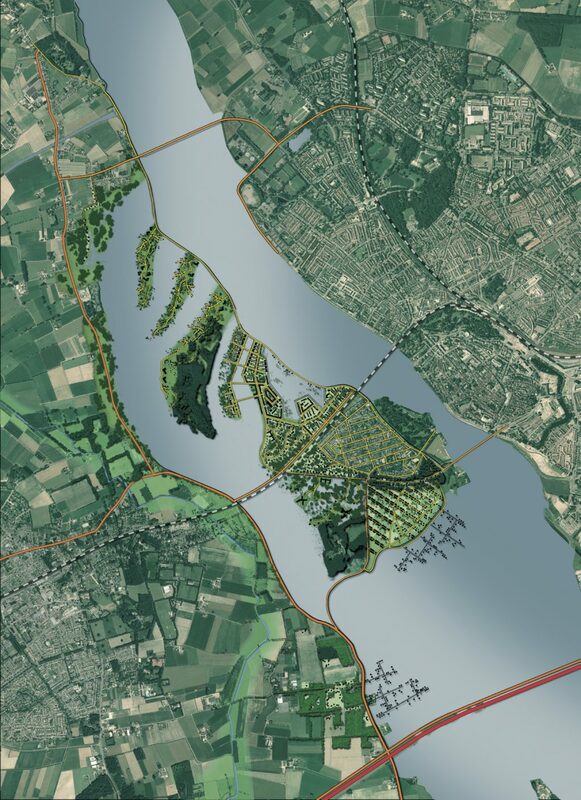 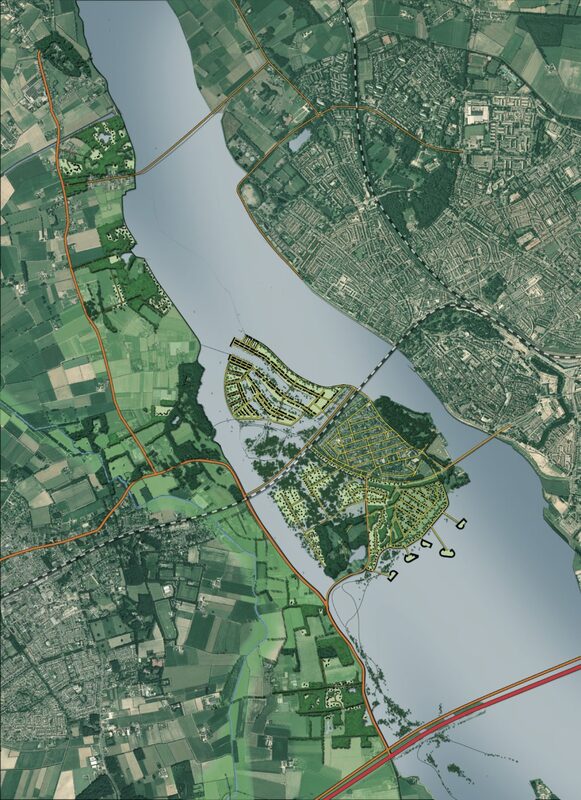 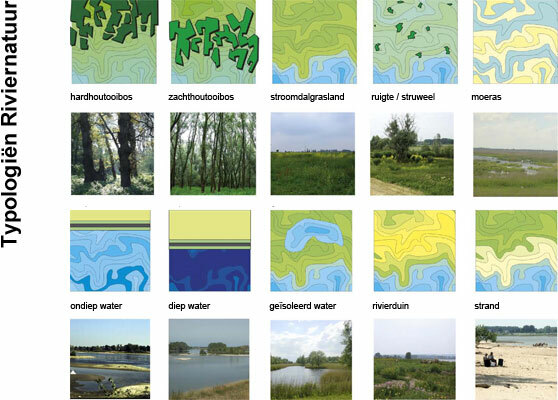 The task for the Apeldoorn-Deventer-Zutphen urban network is to strengthen the relationship and variation in housing and business areas with the simultaneous development of new qualities in water, nature, landscape and agriculture. 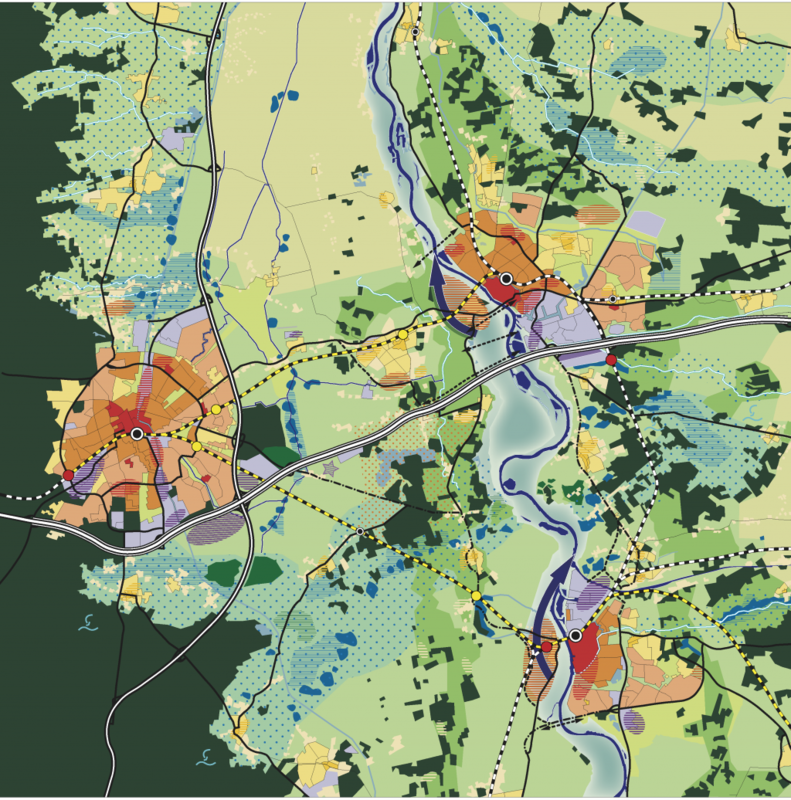 Based on the layer approach and using an intensive, interactive planning process the involved municipalities arrived at a number of strategic choices for the spatial development of the region. 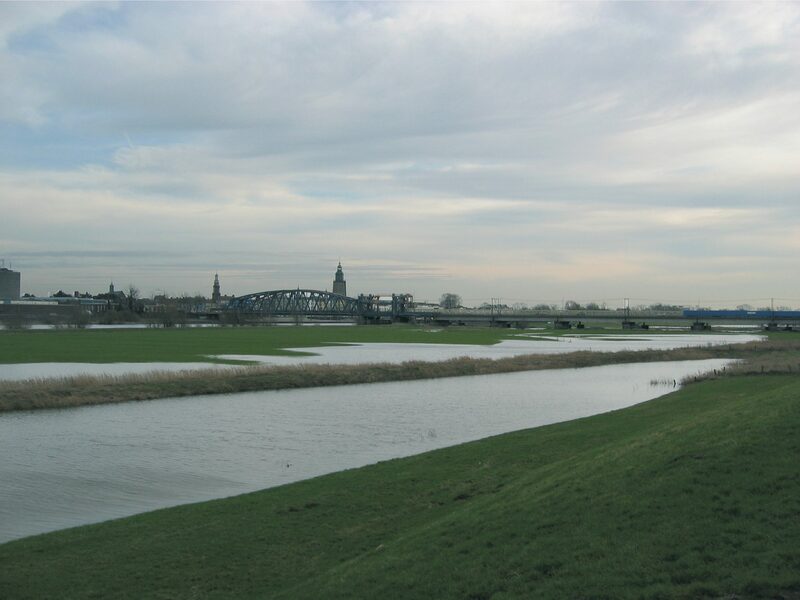 A consensus was reached about the elaboration of a number of regional projects such as two bypasses in the IJssel at Deventer and Zutphen. 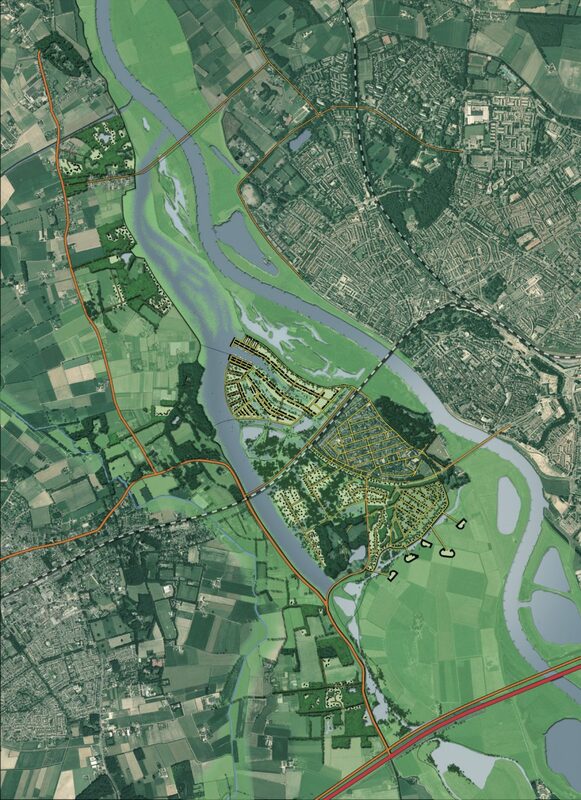 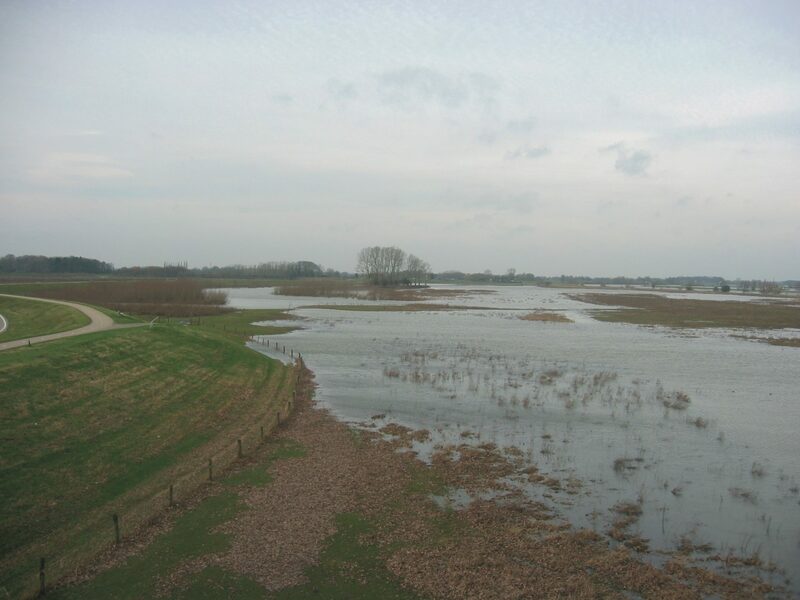 Increasing the drainage capacity of the IJssel is combined here with new urban expansion.